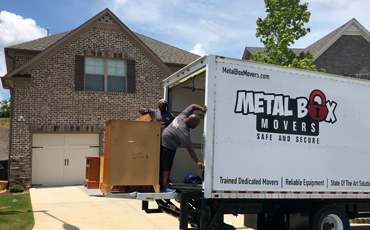 When it comes to storage and warehousing of household items, Metal Box Movers in Roswell can be trusted completely. Our facilities are safe, sound, and secured with a high degree of care. Customers are often caught off guard having to acquire temporary storage space during relocation from one house to the next. This can happen for many different reasons – maybe their closing date got pushed back or maybe their home was sold sooner than they had planned (bittersweet). At times, we don’t always have the luxury of perfect timing during transitioning. Are you downsizing or just have items you’re not yet ready to part with? Long-term storage might be right for you. Did you put your house up for sale and in the blink of an eye it’s sold, long before you were ready? Maybe you’re waiting for your new construction to be completed and you’re living with a friend, a relative, or even in a hotel. Long-term storage may be right for you. 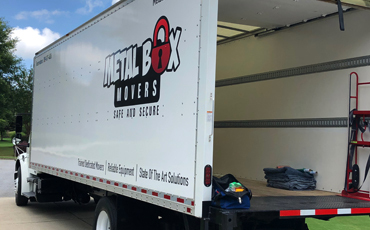 If you’re downsizing, you will find that it can be very stressful trying to figure out what to let go, what to keep and what to store – we can help with long-term storage. Maybe you’re renovating your home. That can be a daunting task for any homeowner, having to move items out only to put them back in when work is done. We have the right short-term storage solutions for you. There are many reasons for long- or short-term storage solutions – yours may be a few boxes or a three to four bedroom house that you want stored for a long or short while. 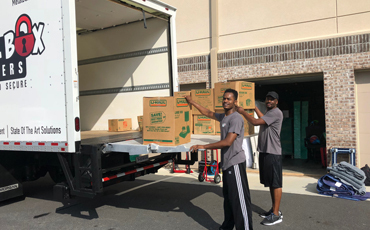 Call today to speak with one of our moving specialists about your long- or short-term storage needs.